The sun-dried tomatoes add a delicious sweetness, while the black olives give a great saltiness. Basil, of course, tops it off to give a mediterranean inspired flavour to the dish. Cook the quinoa according to the packet. Juice the lemon and add this to the water as it boils. While you wait for it to cook, finely chop the olives, sun-dried tomatoes and basil. 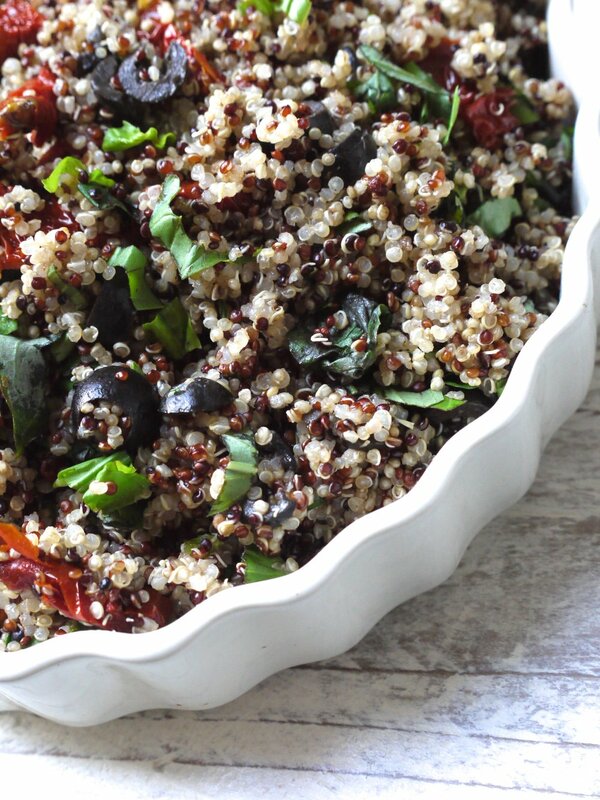 Once the quinoa is cooked, mix in the other ingredients to serve. If you would rather have this as a cold dish, wait for the quinoa to cool (or run cold water over it) before mixing in the ingredients.